Garcinia Cambogia is a yellowish, pumpkin-shaped superfruit found in Asia and Africa that has been used traditionally by many cultures for centuries to address inflammation, gastrointestinal distress, hemorrhoids, rheumatism, women’s menstrual issues, and many digestive issues. Commonly known as “gamboge,” “brindal berry,” or “Malabar Tamarind,” the rind of the Garcinia Cambogia fruit contains potent natural compounds that support healthy weight management by supporting appetite control, disrupting fat production, supporting fat metabolism, and promoting healthy insulin function. Some Asian cultures also use Garcinia Cambogia in their traditional curries and other popular dishes because they believe that the sour flavor of the fruit is what activates and supports the digestive system. Recent clinical studies have shown that Hydroxycitric Acid (HCA), which is the key natural active compound found in the Garcinia Cambogia, can help support healthy weight management! The HCA is found in high concentrations in the rind of the fruit and attacks fat from two different angles, first by helping to suppress appetite and second by disrupting the formation of fat – making this one of nature’s most powerful dual-action fat busters! The potent HCA helps curb the appetite by stimulating the production of serotonin, which is a key neurotransmitter that is involved in many of the body’s behavioral functions. Serotonin has been linked to impacting mood, energy, sleep patterns, eating behaviors and regulation of body weight. When we feel tired or depressed, we are more likely to reach for food to try to make ourselves feel better, but when we have increased serotonin, research has shown that we are less likely to eat! Additionally, the HCA is also though to impact the function of Neuropeptide Y, a nervous system transmitter. Neuropeptide Y, found in the hypothalamus, plays an important role in signaling to the brain that the body feels full, which is why it is believed that manipulating this transmitter also contributes to the suppression of appetite in those supplementing with Garcinia Cambogia. Finally, HCA actually works to fight the formation of fat! The potent HCA helps to block key enzymes that are responsible for the breakdown and formation of fat. Consequently, the body begins to burn stored fat cells for energy by breaking down the protective proteins called “perilipin” that coat and protect the fat cells. The presence of HCA breaks down perilipin which allows the fatty acids to be freed and then burned for energy. Evidence of this can be seen in urine samples as more fat metabolites such as formaldehyde and acetone will be found, indicating fax oxidation. What are some clinical trials that have been conducted using Garcinia Cambogia to prove its weight loss effects? In a clinical study conducted by a team at Hoffman-La Roche, the theory of the inhibition of fat formation was put to the test. The study was done using rats, and the results were amazing. When given single, daily oral doses of HCA right before meals for 30 days, the rats showed a reduction in appetite and a significant decrease in liver, adipose tissue and small intestine lipogenesis in the body. The adipose tissues are the main tissues in which fats are formed, so this is an important find for the effects of HCA in weight loss. A randomized placebo-controlled clinical trial was conducted using 20 overweight adults. It was proven that 500 mg of HCA taken three times a day before meals for eight weeks resulted in 215% greater weight loss than those taking the placebo. It was noted that cholesterol and triglyceride levels were also greatly reduced during this study. At Purdue University, 89 moderately overweight women were administered either doses of Garcinia Cambogia at 400 mg per dose or a placebo. 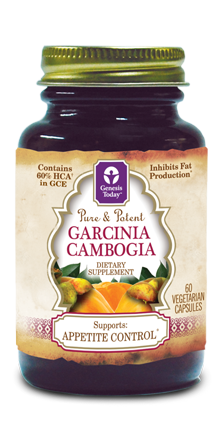 The group taking the HCA from the Garcinia Cambogia were administered their doses 30 to 60 minutes prior to meals. After 12 weeks, the group taking Garcinia Cambogia lost on average nearly 4 kilograms. What other health benefits does Garcinia Cambogia offer? Aside from contributing to weight control and metabolic functions, Garcinia Cambogia also contains anti-inflammatory properties that have been relied upon in indigenous cultures around the globe for gastrointestinal disorders and diseases. Considering that many of the disorders in the GI tract are caused by an overproduction of mucous and pro-inflammatory responses due to oxidative stress and the fact that Garcinia Cambogia contains powerful antioxidants, Garcinia Cambogia it is thought to help promote anti-inflammation and help bring balance back to the digestive system. This incredible superfruit has been linked to supporting multiple digestive concerns related to ulcers, Irritable Bowel Syndrome (IBS), hemorrhoids, and much more! Additionally, packed full of flavonoids, Garcinia Cambogia is thought to help lower cholesterol by promoting capillary permeability, which can help disrupt the hardening of arteries. In a study by the Department of Bio Chemistry, at the University of Kevala in India, a group of rats were given doses of 1 mg of Garcinia Cambogia. The results proved that the flavonoids significantly lowered lipid levels in rats fed normal and cholesterol-containing diets. This is believed to be a result of the hypolipidemic activity in flavonoids due to a lower rate of fat production and higher rate of degradation of lipids in the bloodstream. How is Genesis Today’s product different form other products? Genesis Today’s formulation contains two patented, trademarked and branded ingredients called Super CitriMax® (Garcinia Cambogia Extract) and ChromeMate® (Chromium), developed by InterHealth Nutraceuticals. While these branded raws are more expensive than standard raw materials, Genesis Today selected them because they are backed by human clinical trials and the potency is guaranteed! The Chromium adds additional support for weight management and healthy blood sugar. Further, Genesis Today adds Black Pepper extract for maximum absorption and utilization of the potent and powerful HCA compounds. Finally, Genesis Today adds Potassium and Calcium, two key elements that are required for the HCA to produce maximum results. Altogether, Genesis Today’s amazing Garcinia Cambogia supplement is truly one-of-a-kind and delivers maximum potency. Plus, Genesis Today never adds any binders, fillers or excipients, so you know that every single ingredient in our vegetarian capsule supports your health and wellbeing. How much Garcinia Cambogia should I take? You should take at least 1,500 mg per day for maximum support. It is recommended to take three to four 400 mg capsules 3 times per day at least 30 minutes before meals with a large glass of water. Can I take this with medications? Always check with your physician first. If you choose to take Garcinia Cambogia, be sure to take the supplement at least one hour apart from when you take your medications. Is the Genesis Today Garcinia Cambogia product gluten free, yeast free, dairy free, sugar free, wheat free, and free of any harsh chemicals or stimulants? Yes! It is also vegetarian, diabetic friendly, non-GMO and totally pesticide free. Does this supplement contain fillers, binders or excipients? No, be sure to avoid any ineffective or harmful ingredients at all costs! A few potentially harmful and/or unnecessary ingredients to keep an eye out for are: gelatin, brown rice flour, silica, magnesium stearate, lactose, microcrystalline cellulose, food colorings and maltodextrin, among others. Should I take it if I am pregnant? No, you should consult with your physician first before you take Garcinia Cambogia during pregnancy or lactation periods.